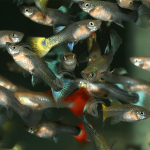 Why Become an Aquarium Industries Retailer? 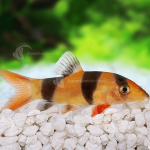 Aquarium Industries has the widest range of live and frozen aquarium items available from any Australian wholesaler. The AI Range contains a huge variety of both freshwater and marine fish, supported by a complete range of frozen fish foods, live crickets, woodies, frozen rats and mice, and our unique pre-packaged Live Tissue Culture plants. All backed by Australia’s only comprehensive training, marketing and technical support program, designed to increase your sales, and improve your profitability. We have created the most comprehensive training and support program available. 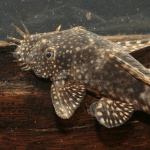 Whether you want high quality, web based fish care training that can take you all the way from the basics through to Veterinary standard, or a friendly voice at the other end of the phone when you have that urgent question, we are there. Add the benefits of a complete suite of marketing and promotional tools, coupled with support from the only National sales force solely dedicated to the sale of live fish and associated products, and you know that you have a true partner all the way. Click on the button below and fill out our wholesale enquiry form to request more information about joining the Aquarium Industries family as a registered stockist. We look after our retailers at Aquarium Industries and have put together a great range of support systems and materials – our Members Only section on our website called The Tank gives you access to downloadable training guides and resources, marketing materials and more. Our expert ‘We Care Team’ are also on hand to assist all of our customers – they have their own dedicated phone number for you to contact whenever you have any problems or questions. 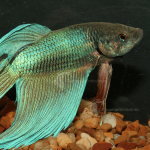 Aquarium Industries are also the only wholesale aquarium fish supplier that has a dedicated team of sales reps that are constantly on the road, traveling around Australia and meeting face to face with our retailers. 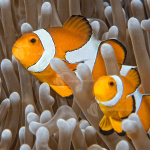 Aquarium Industries strong brand loyalty – Aquarium Industries are Australia’s largest and most reputable wholesale supplier of coldwater, tropical and marine aquarium livestock, plants and food products; we have a huge base of loyal customers that prefer our brand over others. Business listing in our Store Locator application – The Aquarium Industries Store Locator allows users to type in their postcode to find their closest Aquarium Industries stockist. 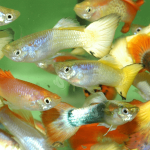 When you become an Aquarium Industries stockist and start carrying our freshwater and marine livestock, food products and live plants, your business listing will be added to the locator. Our stats show that the locator receives several thousand searches per month. Access to the largest range of coldwater, tropical and marine livestock – With more than 4,000 200 litre tanks, our 4,500 square metre facility holds the largest assortment in Australia. We have new stock arriving daily, from all corners of the globe. 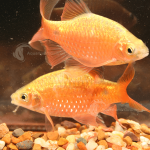 From hardy Goldfish right through to spectacular Discus and Marines, we can meet your requirements. Our range is constantly expanding and we continue to make new product announcements regularly. Click here to see our current stocklist! Support System and Marketing Materials – We have a strong support system in place for all of our retailer customers that includes downloadable POS marketing materials, access to professional educational materials to help train your staff and regular industry news updates. Online Ordering System – We have developed an advanced online ordering system that makes placing your order a breeze. Simply login, add the items you want to your ‘shopping cart’ and check out. With direct access to our inventory system the stock you order is reserved, giving you priority stock allocation and reducing the occurrence of out of stocks. 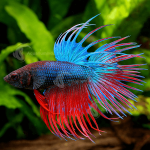 Australia-wide Shipping – All of our coldwater, tropical & marine fish, plant and food products are available to be shipped next day Australia-wide, allowing us to get them to you quickly, reducing the stress on the fish. Total Training Support – Well trained and confident staff are the key to increased sales! 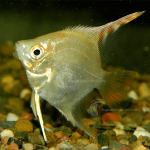 Our web-based training system is the perfect tool for training your staff on everything that they need to know about the complete care of both freshwater and marine fish. Professional Shelf and Tank Labels – No more hand written tickets! Our online Shelf Label generator allows you to create professional-looking shelf and pricing labels for thousands of our products. Each label also contains a QR code that provides instant access to a Free Care Sheet for the fish, providing you with a great way to give expert advice to your customers. Total Merchandising Support – Printed materials for you to display including marine and freshwater fish compatibility charts, goldfish variety posters, water quality charts and more. The charts assist in increasing sales by providing customers with the information that they need to purchase a range of marine and freshwater fish with increased confidence. If you would like to receive more information about opening an account with Aquarium Industries and becoming a registered stockist, visit our wholesale information page and fill in the enquiry form.